This exciting investment opportunity is located on what can best be described as an island enclosure with roads on three boundaries and a green tree lined area to the fourth. The site currently consisting of a cluster of commercial units and an office block. The site will of course require demolition and in our earnest opinion this would be quite straight forward and unhampered, as the site is relatively isolated. The content of the site is mainly brick with the usual additional materials and is not hindered by height, as the highest building is two levels! The Vendor has already had preliminary conversations with the local council who have shown a favourable interest in the proposed project. This would take the form of 8000 sqft of commercial space on the ground floor, reflected by a large grocery store, the likes of Tesco Express or similar and three retail units, offering prime retail space to the likes of; bookmakers, pharmacies or similar. 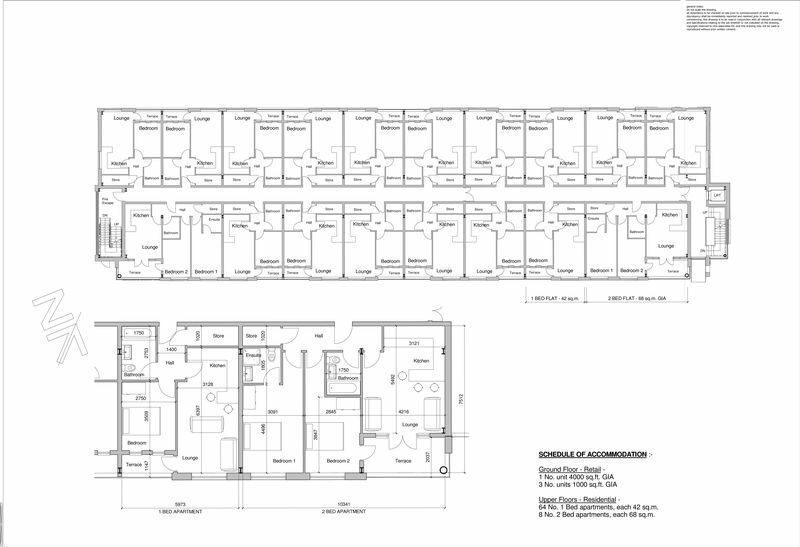 Above the ground floor would be four identical floors consisting of 64 1 x bed apartments and 8 2 x bed apartments. We believe there is potential for this to be increased by at least two further floors. The site would consist of a mixture of Freehold & Leasehold titles, currently our clients retain the Freehold of half the site and Leasehold from the Local Authority. As part of their discussions with the Local Authority they have discussed extending their current leases to 999 years, again this was well received by the Local Authority. 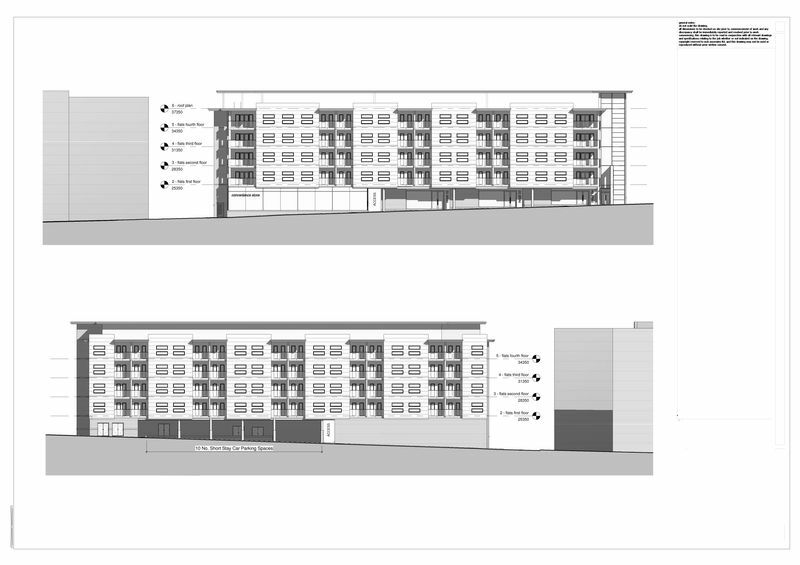 Also in addition to the site, would be two car parking sites either side of the proposed site, however our clients, do not believe the planning application would be subject to any parking demands. Finally the site is on the edge of Preston City centre and would be a very well received development and one that would attract a variety of occupancy, of the main both professional and social, along with some student, as Preston has a very large student community and the University. The client is looking for offers in the region of £3.5m subject to planning consents, together with 2 x leases on 2 x apartments. The client is also in favour of negotiating terms under which the site could be purchased and would welcome any face to face discussions with any prospective purchaser. MONEY LAUNDERING REGULATIONS 2003. Prospective purchasers are advised that we will ask for identification documentation and proof of financial status when an offer is received. We ask that this is made available at the earliest opportunity to prevent any unnecessary delay in agreeing a sale. We always endeavour to make our sales particulars as fair, accurate and reliable as possible. But please be advised that they are only intended as a general guide to the property and should not be relied upon as statements of representation or fact. If there are any points of particular importance then you are advised to contact our office in order that we may make enquiries to verify the position on your behalf. The room sizes are only intended as a general guide to prospective purchasers and are not precise. Whilst every attempt has been made to ensure the accuracy of the floor plans, they are designed for illustrative purposes only. No responsibility will be taken for any errors contained in these plans. You are advised to verify any dimensions before ordering floor coverings and furniture. We have not tested the services, equipment are appliances in this property, therefore we strongly recommend that prospective purchasers commission their own service or survey reports, before finalising their offer to purchase. What is Stamp Duty and how is it calculated? * This value is based on the standard rate and not applicable to first-time buyers or buy-to-let / second home buyers. Enter your friends and your own details to send them details of this property. Trigglets Estates Limited registered at 36-40 Doncaster Road, Barnsley, S70 1TL. Registered in England and Wales. Registered number 07853559. VAT No 272219413.